Chevy’s solid little hatchback isn’t the cheapest subcompact, but it is the only contender made in the U.S.A. 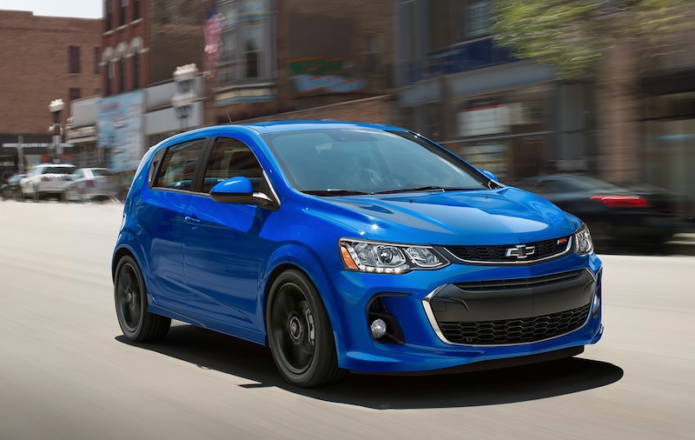 Assembled just 41 miles as the crow flies from Car and Driver headquarters, the Chevrolet Sonic is the only gasoline-drinking subcompact car built in the United States. When the Ford Fiesta is discontinued after the 2019 model year, the Sonic and and its diminutive stablemates—the imported Spark and the Bolt EV—will be the only American-brand small hatchbacks on the market for 2020. Because the Sonic is being outsold by the Trax crossover variant built on the same platform (in Korea and Mexico), there is speculation that it will soon follow the fate of the Cruze, Impala, and Volt. We still have it for now, though, and the Sonic combines a gamut of features with subdued driving dynamics for a reasonable small-car choice, U.S. made or not.